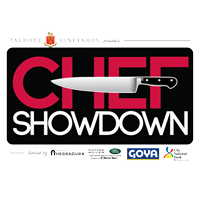 VIP #ChefShowdown brought to you by Talbott Vineyards and presented by Goya Foods, Tequila Herradura, Land Rover South Dade, Celebrity Cruises, Baptist Health South Florida, Halperns, and official bank partner, City National Bank. 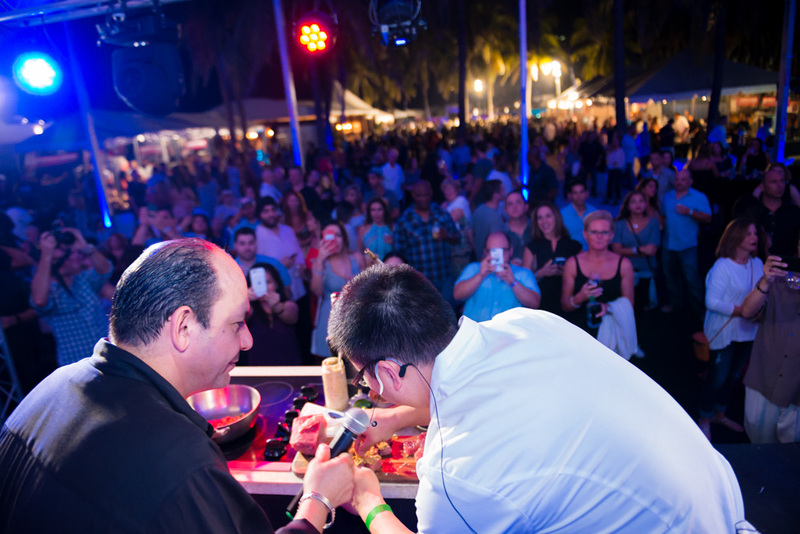 Chef Showdown at South Beach Seafood Week assembles Miami’s top executive chefs for an evening of competitive cook-offs where YOU are the judge. 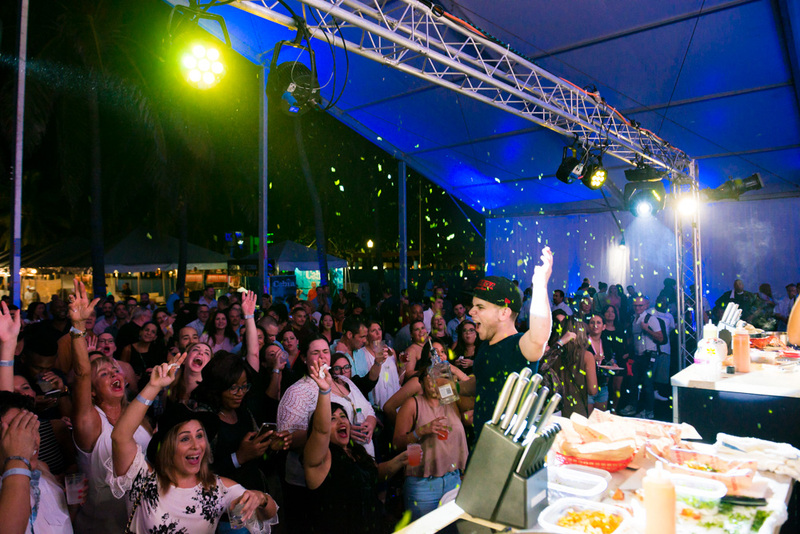 In a perfect combination of competition level cuisine, tropically fresh cocktails, and live entertainment, the #ChefShowdown , brought to you by Talbott Vineyards, tours guests through the best of Miami’s culinary scene. 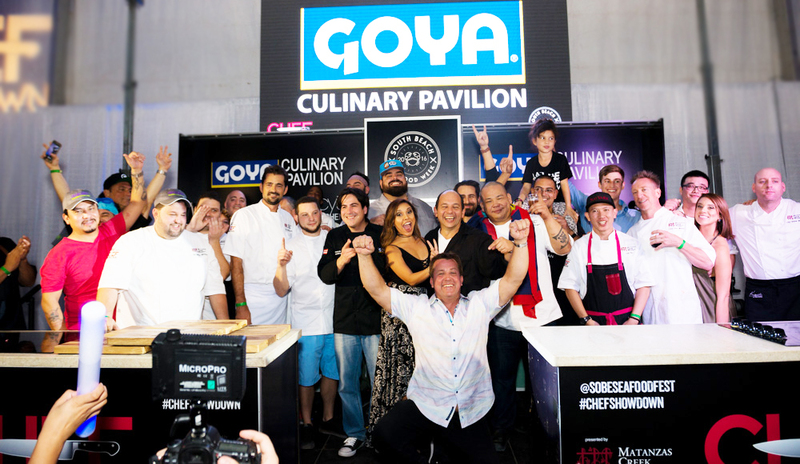 Featuring 14 of Miami’s most progressive and recognized Executive Chefs, this is a CAN’T miss experience for all. We had you at fresh cocktails, right? Selected by Travel Channel as the Top Seafood Chef Competition in the country, the Chef Showdown, hosted inside the Land Rover VIP Hospitality Village and Goya Culinary Pavilion, pairs chefs head-to-head in a total of seven different seafood battles with the ultimate high energy night of competition (and party). 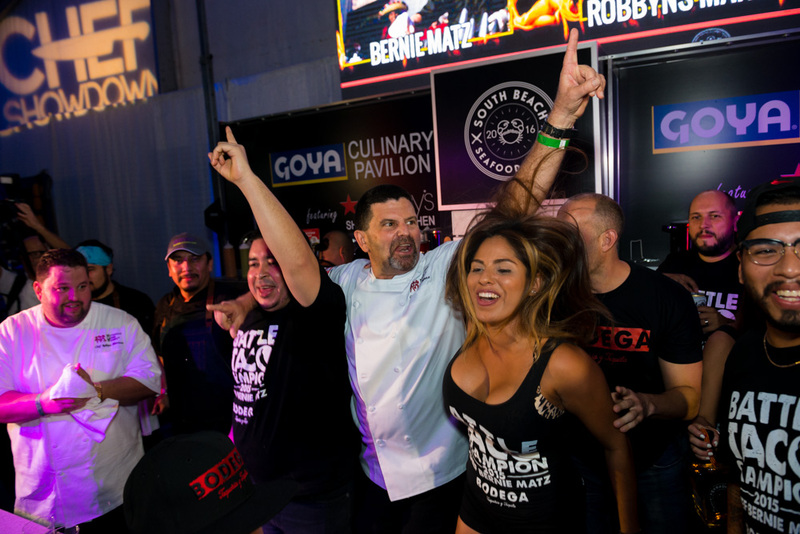 Chefs from each battle will take the stage throughout the night in the showcase kitchen, where famous Miami media personalities and Celebrity Chefs will judge the best in each showdown. 2019 Judges will be: Chef Andre Bienvenu of Joe’s Stone Crab, Chef Peter Vauthy of Red, the Steakhouse, Chef Fernando Desa of GOYA, Chef Jeff McInnis and Chef Janine Booth of Stiltsvlle Fish Bar, Nelson Lazo, CEO of Doctors Hospital, and Ben McClure of Talbott Vineyards. The gist: Ticket holders will visit each restaurant’s sampling station around the hospitality village and enjoy sample the competing Chef’s dishes. Then, guests get to vote on their favorite dishes! 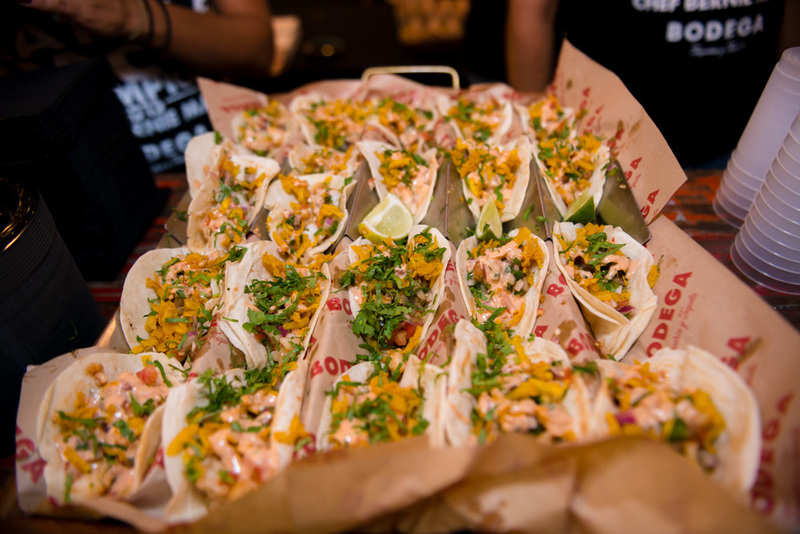 The chefs take the main stage throughout the night and battle it out in person with a group of executive judges on the main stage helping to weigh in. 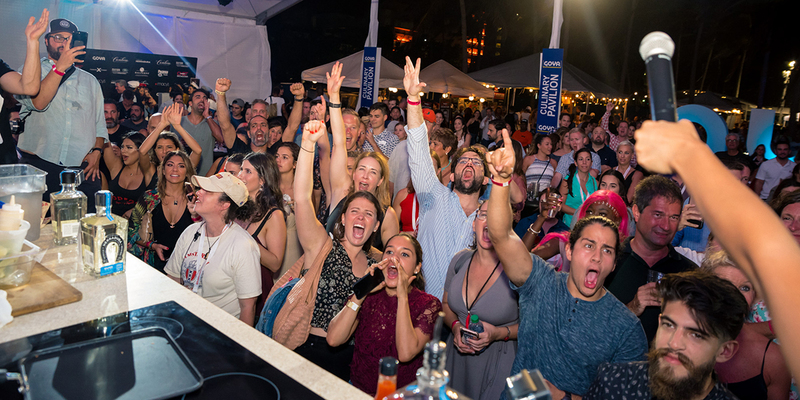 Points are accumulated from all the voting areas to ultimately decide the newest CHAMPIONS of the Chef Showdown at the South Beach Seafood Week! 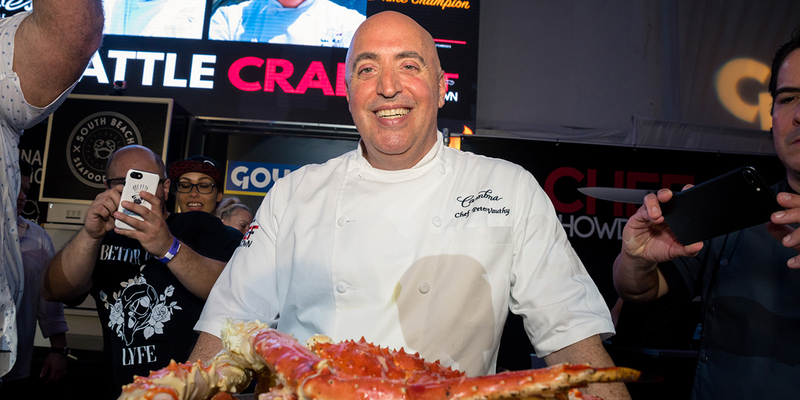 Executive Sous Chef David Salinas picked up the reigns last year from Chef Andre Bienvenu, the three-time Chef Showdown Champion and the Executive Chef at Joe’s Stone Crab, a 103-year-old restaurant located in Miami Beach, FL. David took his stab at Battle Lobster last year and triumphantly emerged as the 2018 Battle Lobster Champion. At Meat Market Miami, Chef Sean Brasel was responsible for bringing the American steakhouse into the 21st century creating a menu that modernizes the classic steakhouse. His food is known for being eclectic, sumptuous, and affordable. He is also a four-time Champion in the Surf n’ Turf category! Chef Raul A. Del Pozo’s cuisine is progressive and modern, ever evolving and pushing the envelope daily. His previous restaurants have been awarded numerous accolades including AAA 4 Diamond Award and The Golden Spoon Award; in addition to serving as Brand Ambassador for the country of New Zealand at Star Chefs. Del Pozo has unquestionable insight on the whimsical and magical, as demonstrated by his remarkable visions at Lightkeepers at The Ritz Carlton, Key Biscayne. Known for crafting healthy Greek, Mediterranean, and seafood cuisine, Chef Demetrios Pyliotis of the Poseidon Greek Restaurant & Outdoor Lounge knows what tastes delicious. There’s no risk of fish dishes being less-than-perfection here; Chef Pyliotis is also the four-time Champion of Battle Fish at South Beach Seafood Festival! Born in Japan, Chef Masatomo Hamaya knows sushi inside and out. He’s perfected his craft at many top restaurants around the United States including at the Dragonfly Izakaya & Fish Market where he takes pride in his premium ingredients and artful flavors. Chef Masatomo may be presenting some of the best sushi your foodie taste buds have ever tried, so get ready for it at South Beach Seafood Festival! Don’t sleep on Chef James Versfelt. 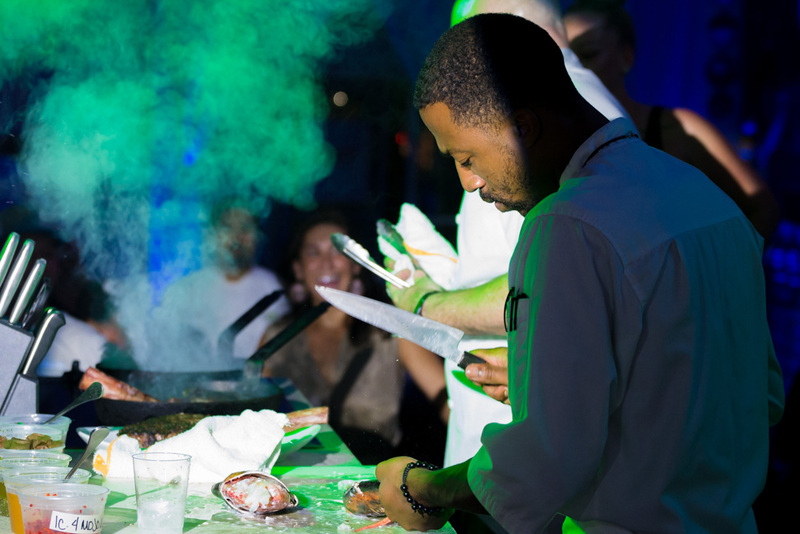 The reigning champion is ready to defend his title by serving up the BEST oysters in Miami. How does he do it? We can’t reveal his secrets…but coming up in the food scene in New Orleans has a lot to do with it. Having spent his entire life in food service, this is one champion who won’t be easy to knock off the podium. Get ready for some succulent oysters! 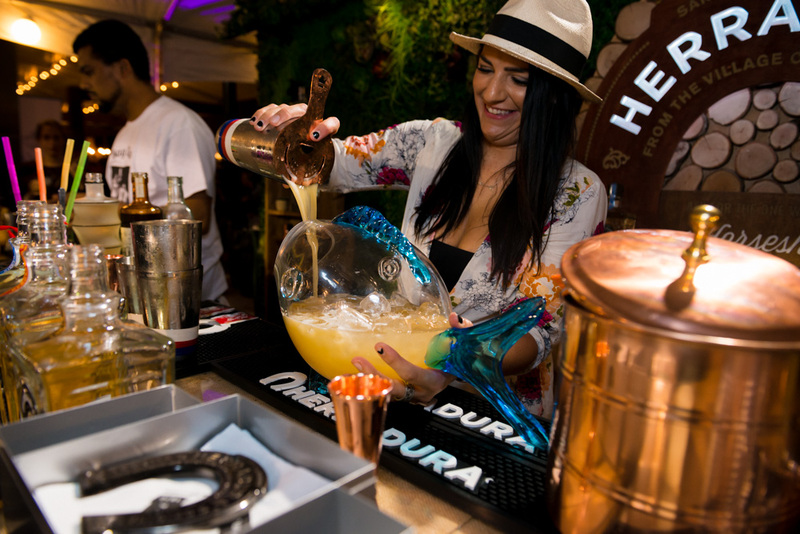 The VIP #ChefShowdown delivers a unique culinary and entertainment experience in the most beautiful high energy atmosphere on the sands of South Beach Miami. Be sure to stop by the Halperns CHOP HOUSE or the Papa’s Raw Bar SEAFOOD WORLD BAR for your taste of some beef with your reef. Get ready to enjoy the ultimate beach bash with sounds by YISSEL! 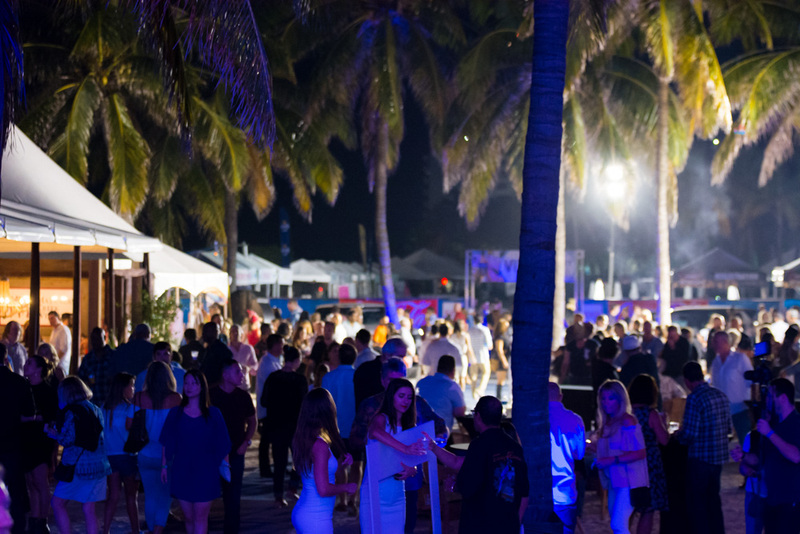 The event is from 7:00 PM – 11:00 PM (on the sand) and the entrance is on 12th and Ocean Drive in Lummus Park, Miami Beach.